The Hyundai Accent is a versatile hatchback that features an array of systems, including Bluetooth® capabilities and blind spot assistance. 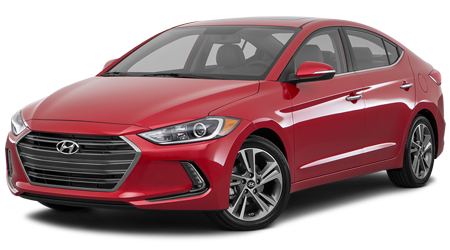 Boasting six trim models, including an option that features a 1.6-liter turbocharged GDI engine, it's easy to find the Hyundai Elantra sedan that suits your personality. With seating for up to seven adults, available Dynamic Bending Light and a stylish panoramic sunroof, the Hyundai Santa Fe delivers! 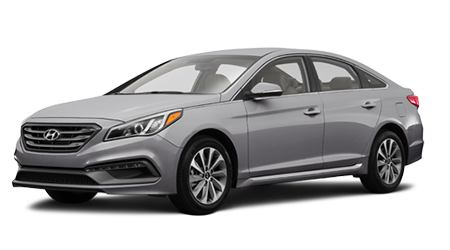 From its Blind Spot Detection with Rear Cross-traffic Alert that comes standard to its host of comfort amenities, the Hyundai Sonata has you covered! 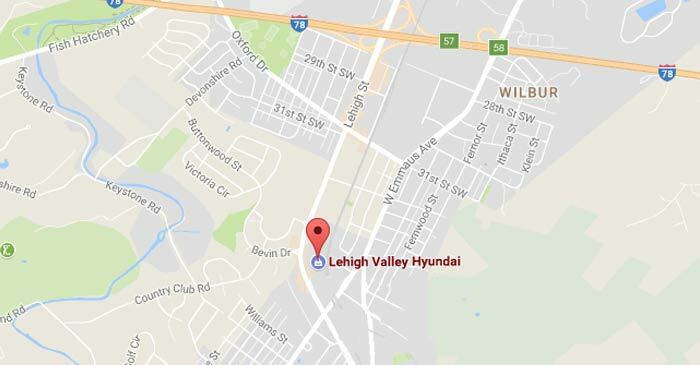 Lehigh Valley Hyundai is a new and used Hyundai dealer in Emmaus, Pennsylvania that is committed to providing for the auto needs of drivers in the area. We understand the importance of cultivating a stress-free atmosphere and long-lasting relationships and will work diligently to earn your business time and time again. 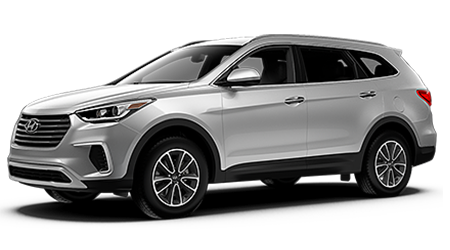 As a dealership that supports Hyundai Hope on Wheels, a donation from every new Hyundai model sold is given to help fund pediatric cancer research; help support this noble cause while securing a new Hyundai Santa Fe, visit Lehigh Valley Hyundai now! 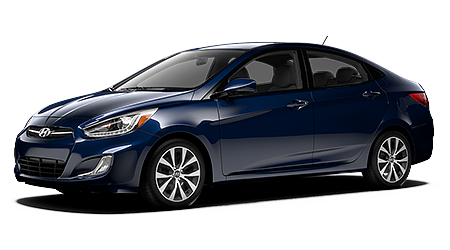 Our Hyundai dealership near Easton, PA offers a complete car buying experience! We'll listen to your on-road needs before introducing you to a variety of options that complement your requirements and can get you behind the wheel of an Accent for a test drive. If you're interested in exploring auto loan options, our finance department works with all credit scores, including those that are considered to be less than perfect ratings. Should you already own a Hyundai Elantra and are looking for a professional team to help keep it running smoothly, get in touch with our service department! From vehicle research material to appraisal information and genuine part orders, Lehigh Valley Hyundai is here for you! Our Lehigh Valley Hyundai dealership in Easton, PA is packed with brand new models to explore. Check out the safety systems that come on a brand new Honda Odyssey or learn about the raw power of the Honda Elantra. Our dealership will even help you trade-in your current vehicle, so you can leave behind the wheel of a new Santa Fe today! Don't delay, make the trip over from Allentown, PA now! When the time comes to finance a Hyundai Tucson, our Hyundai dealer in Pennsylvania is here for you! Get your information over to our dealership quickly by sending in a secure credit application; this form comes at no obligation to you and will allow our credit experts to gain a better understanding as to your unique situation. Reach out to our finance department today for the professional loan assistance that you deserve! Here at Lehigh Valley Hyundai, we understand that drivers in the Quakertown, PA area enjoy working under the hood of their vehicles now and then. If you're interested in completing an at-home maintenance or repair, be sure to drop by our parts department before getting started! We have numerous components and accessories to explore, all competitively priced, and encourage shoppers to place a Hyundai part order online via our secure form! With help from our Hyundai dealership near Easton, Pennsylvania, you can secure a stylish pre-owned vehicle that boasts like-new quality! 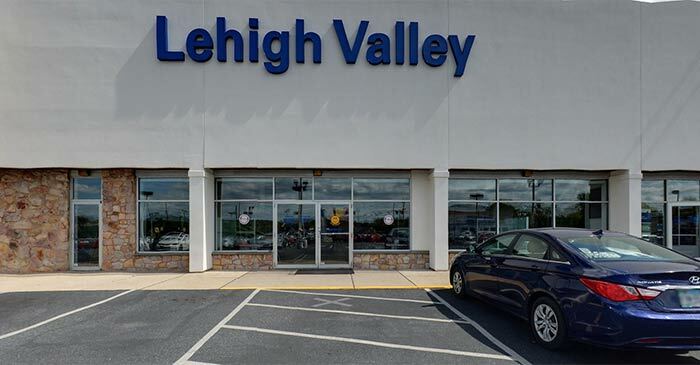 Here at Lehigh Valley Hyundai, we have a number of used cars for sale, from a range of reputable brands, all having passed rigorous inspections. Talk to us about all the options available or browse our Certified Pre-Owned Hyundai inventory for added peace of mind! Our on-site, state-of-the-art service department employs factory trained technicians so that we can be sure we are treating your Hyundai to the care that it both needs and deserves. Whether you're interested in our speedy Car Care Express services or would like to schedule an appointment online for major engine work, our team is here for you! Check out our current special offers before getting in touch with our Emmaus, PA Hyundai team! If you're not in the immediate Emmaus, PA area, feel free to shop our Hyundai dealership online! We have numerous resources to take advantage of, including an online inventory system, Hyundai lease information, and payment calculators! Contact us with any questions, and use our online form when you're ready to schedule a test drive. We look forward to assisting our Bethlehem, Allentown, Easton, and Quakertown neighbors soon!